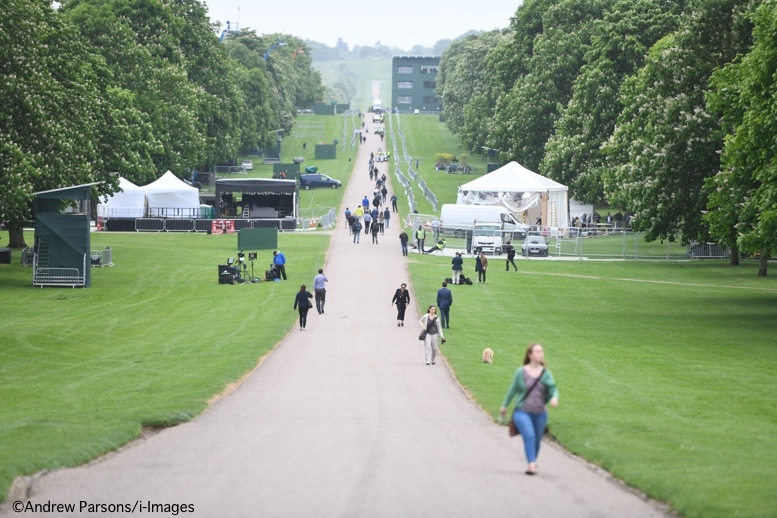 Welcome to today’s edition of the Daily Digest sharing some of the day’s news about Meghan and Harry’s wedding, now just a bit more than two days away. We begin with the list of bridesmaids and page boys, a group of ten children that was announced by Kensington Palace this morning. 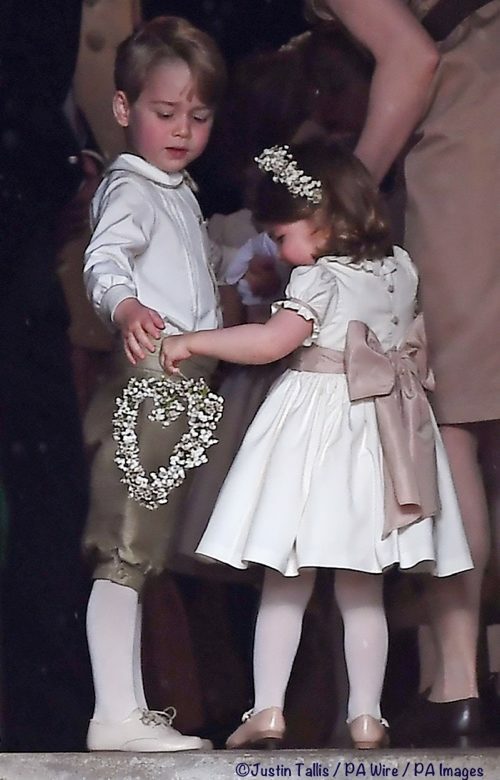 As expected, Prince George and Princess Charlotte are among the children taking part in the wedding. A quick explainer: The adult bridesmaids seen at most weddings in the US are generally not part of ceremonies in the UK and many parts of Europe. Wedding parties instead feature children as flower girls, bridesmaids, and page boys. The Kensington Palace news release used the term ‘bridesmaid,’ so that is what we’ll use. Zalie Warren (age 2); Harry’s goddaughter, daughter of Zoe and Jake Warren, who is the son of the Queen’s racing manager John Warren. Jasper Dyer (age 6) Prince Harry’s godson, son of Amanda Dyer and Mark Dyer M.V.O. Twins Brian & John Mulroney (age 7); sons of Jessica and Benedict Mulroney, grandsons of Brian Mulroney, Canada’s Prime Minister from 1984 – 1993. And here you see the Litt family, including bridesmaids Remi and Rylan. Friends and family members are arriving for the wedding. 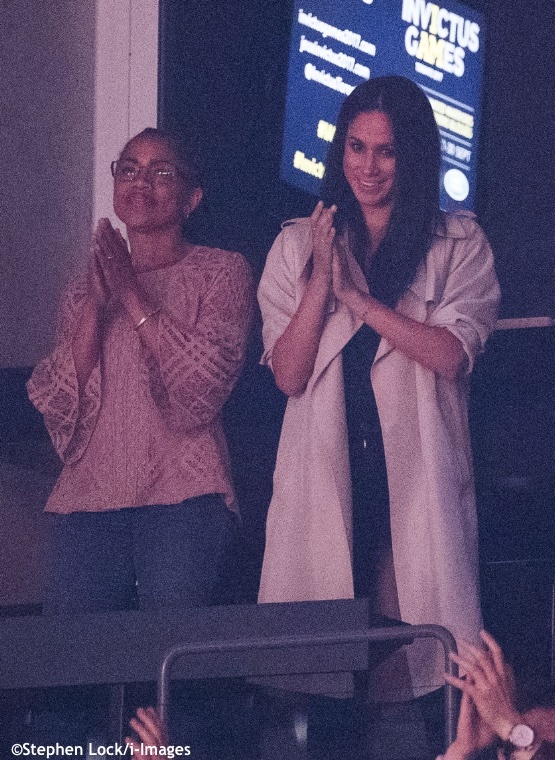 Meghan’s mother, Doria Ragland, arrived at Heathrow today. 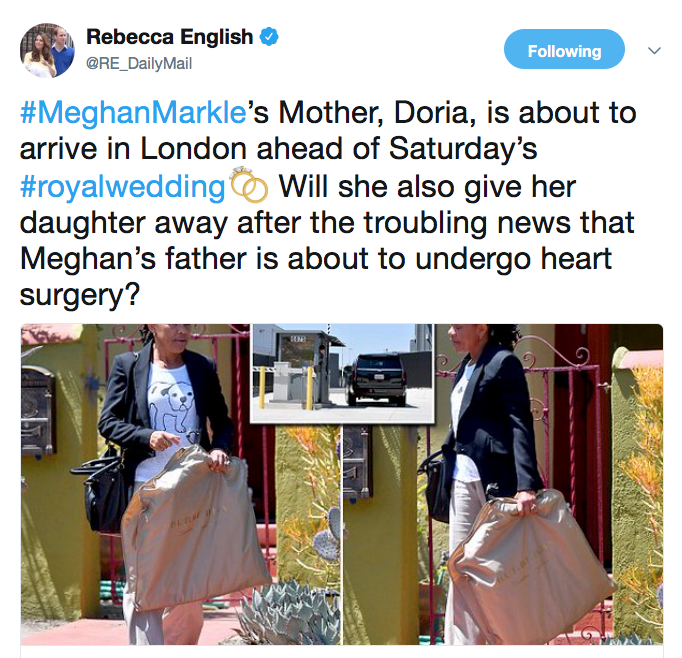 In this tweet from The Daily Mail’s Rebecca English, you can see the Burberry garment bag Ms. Ragland carried as she left her home to head to the airport. The garment bag triggered all manner of discussion about the possibility Ms. Ragland will wear Burberry for one of the functions she will be attending. She has worn the label before; here you see her in a Burberry top at the Invictus Games in Toronto. 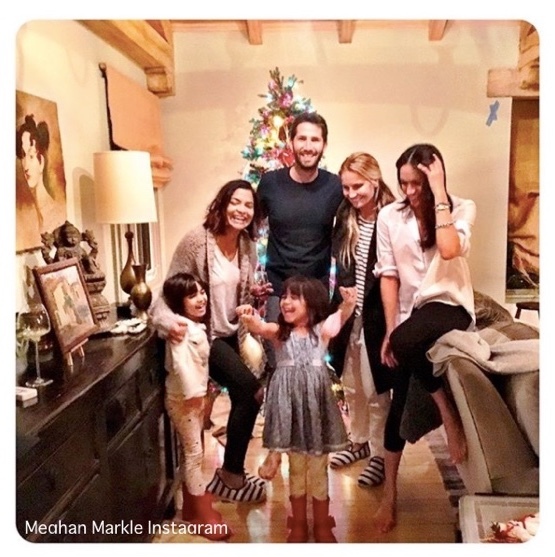 After taking off from L.A. on Tuesday evening, Meghan Markle’s mother, Doria Ragland, landed in London on Wednesday, and spent the afternoon with her daughter and future son-in-law, Prince Harry, PEOPLE has confirmed. 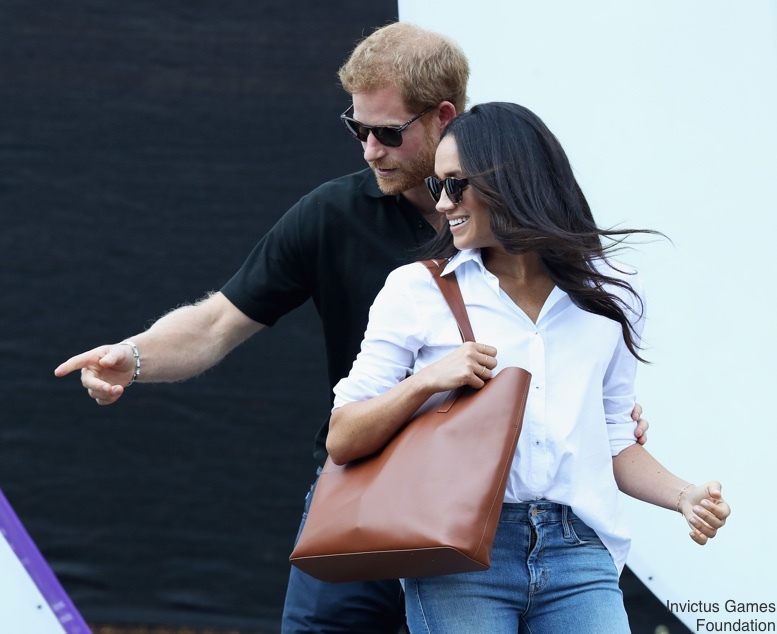 Doria was picked up at the airport by Meghan’s new aide, Amy Pickerill, who is the assistant private secretary to Prince Harry, before they went to meet the couple. Meghan Markle‘s dad, Thomas, appears to have successfully undergone heart surgery … TMZ has learned. We spoke with Thomas a few minutes ago and he seemed alert and coherent, telling us doctors implanted stents in his blood vessels … he said he believes surgeons implanted 3 stents, but he wasn’t sure. In Windsor, preparations continued for the wedding. You can see some of the tents that have been put up in advance of Saturday’s events. There was even a “wedding parade” with students of Queensmead school. The weather forecast continues to look promising, as seen in this graphic from Weather.com. 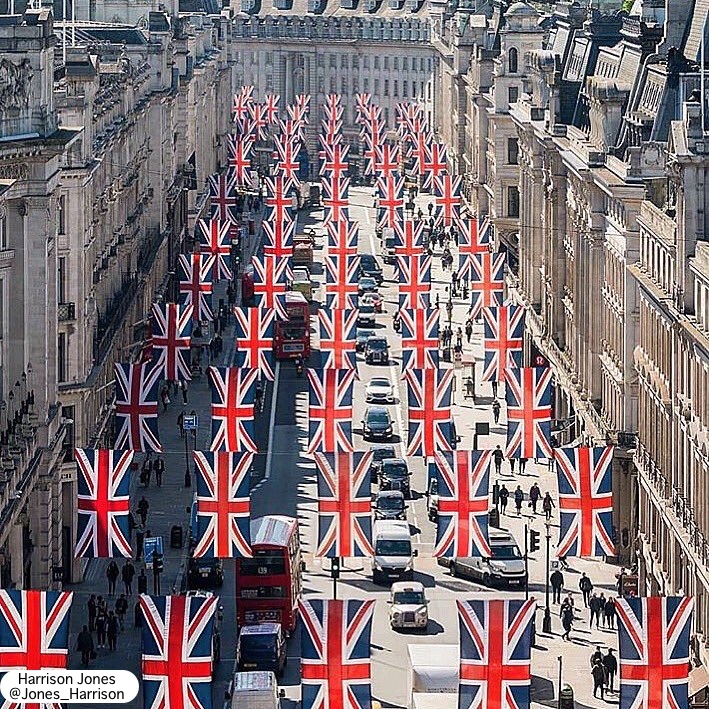 We’ll leave you with this shot of some of the flags in London; it was shared on Twitter by Harrison Jones. The mind boggles at having ten kids under seven, to include a two year old. I hope there is someone/something to keep them occupied during the ceremony, which will take an hour or so. Kate was present at the rehearsal, even though we’ve been told she has no official role to play. Perhaps she is helping out with the kiddos. Thanks for all the regular updates, I’m finding it hard to keep up and it’s great to find everything summed up together here. I don’t remember so much commentary when Kate married but then I was still a novice on social media back then. I love the sense of excitement building up, it’s the greatest fun being able to share the experience with everyone here! Thank you for this great update. I can’t wait to see all those kids in their fabulous outfits! 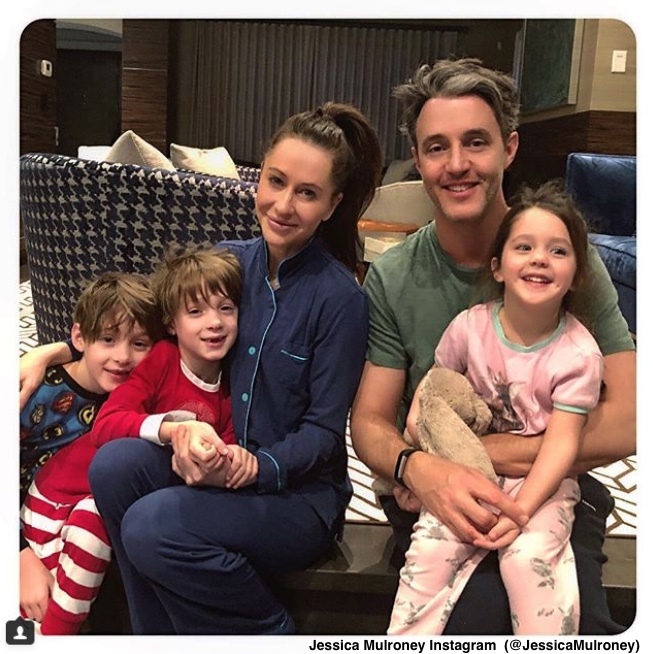 One question, and this may well go back to the info provided by KP: If the Mulroney twins are identified as the grandsons of former Canadian PM Brian Mulroney, why isn’t their younger sister identified as his granddaughter? I thought the same thing, Jessica! I think this is just an oversight. Of course, Ivy is the granddaughter of Brian Mulroney.